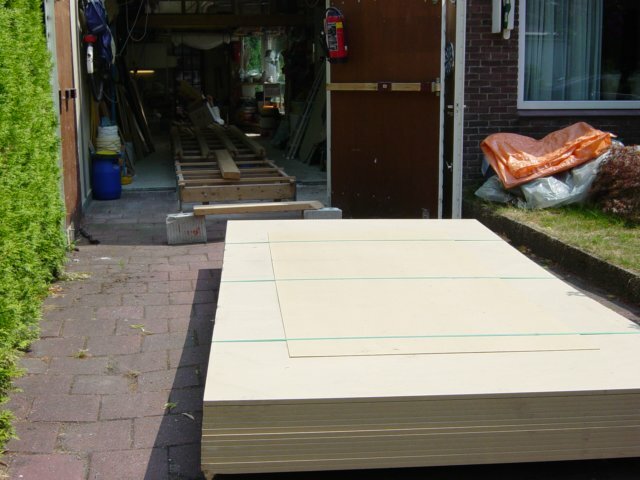 I bought 6'x12' (185x366) MDF sheets, an easy dimension for the large F39 form frames but in hindsight a bad idea as I didn't look at the price (factor 4) of these non standard sheets. And I have a lot of waste. Buying these sheets in the beginning of the project should be a little better as there is enough material for the float form frames too.